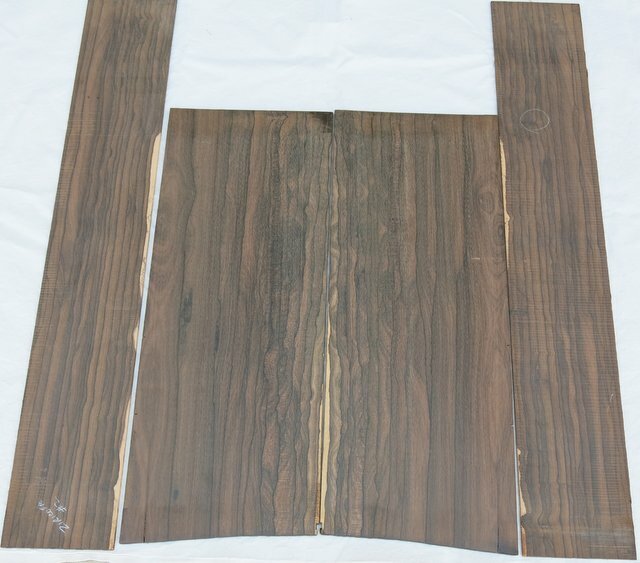 ﻿SOLD﻿ Brazilian Rosewood (Dalbergia nigra): The "holy grail" of guitar back and sides. 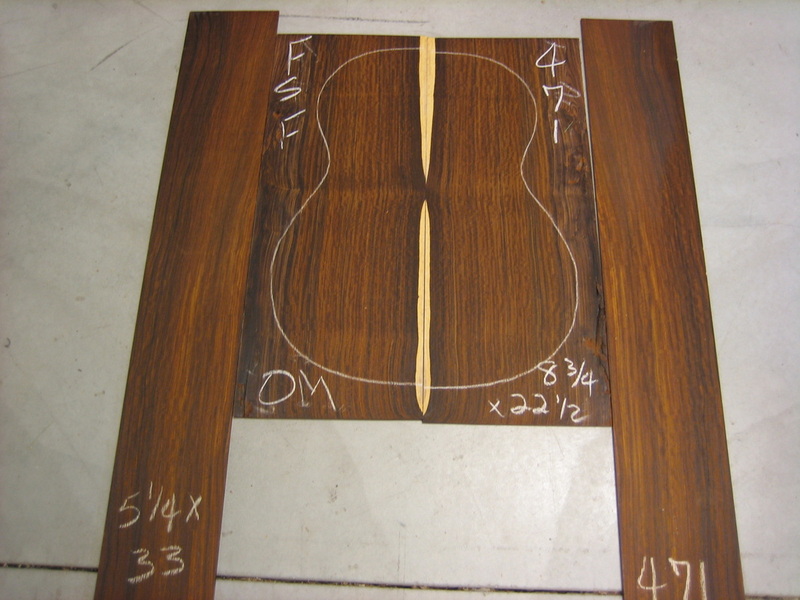 Brazilian Rosewood is protected by International law and U.S. import treaties. 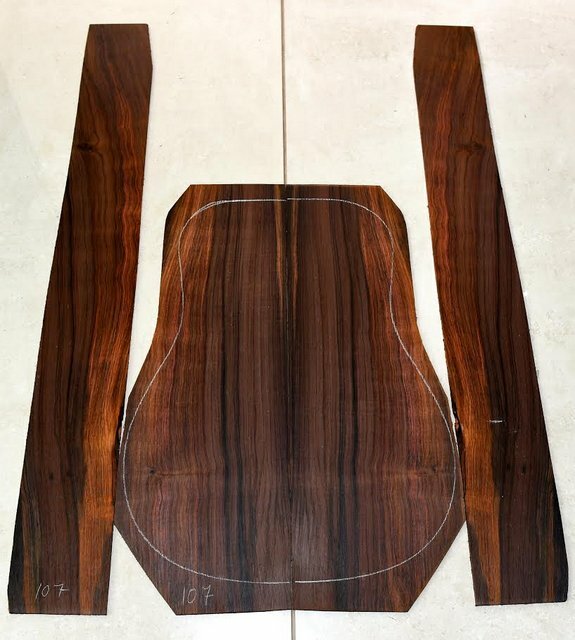 I deal only in "Legal" imported Brazilian Rosewood. This set was cut by a legal, licensed Brazilian company. This set is Cites Certified. I have tentatively named this set "Rocket Man" for obvious reasons (see pic below). You have the opportunity to call it, or the guitar it makes, by any name you choose. 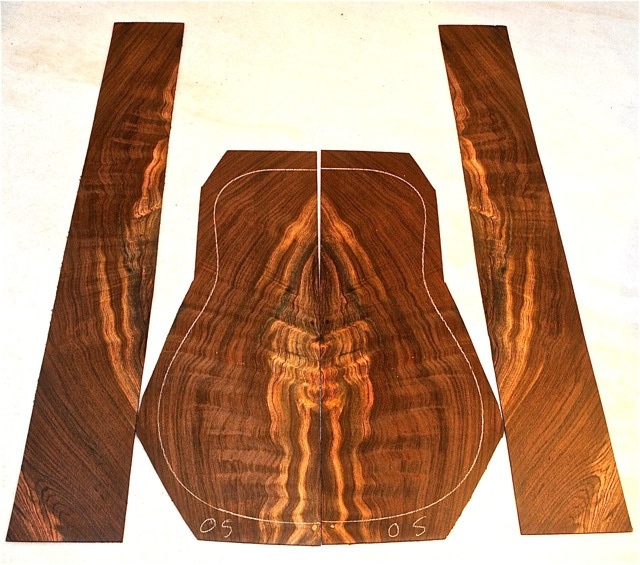 This set will make a Dreadnought or smaller guitar. 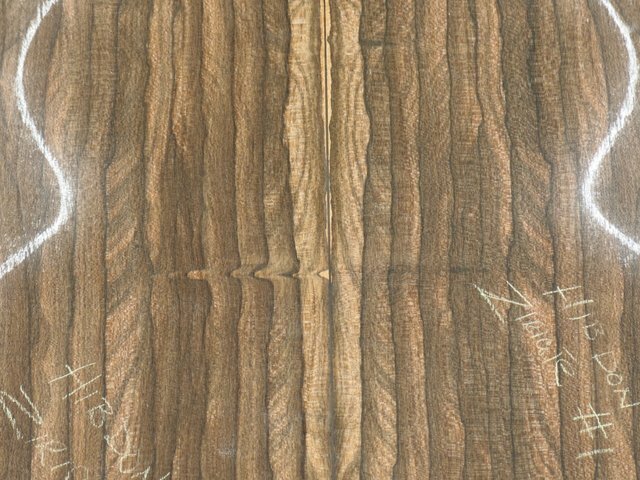 SOLD﻿ Bubinga ( Guibourtia sps): Often referred to as "African Rosewood" this wood can have some real wild figure. 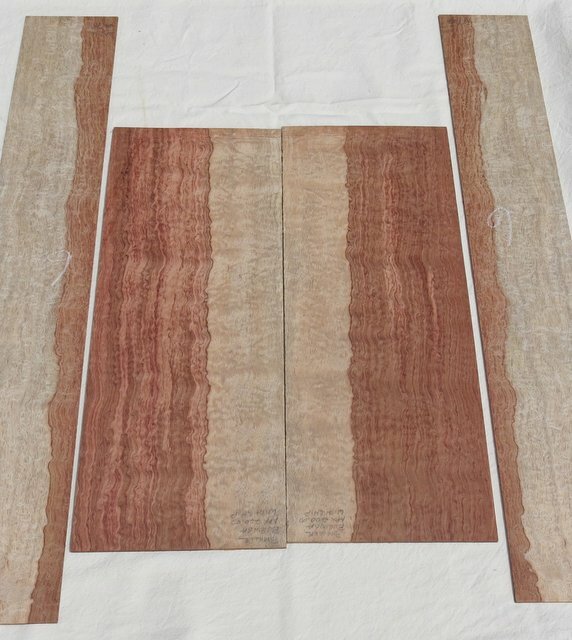 The set below has pommele figure with hartwood & sapwood. 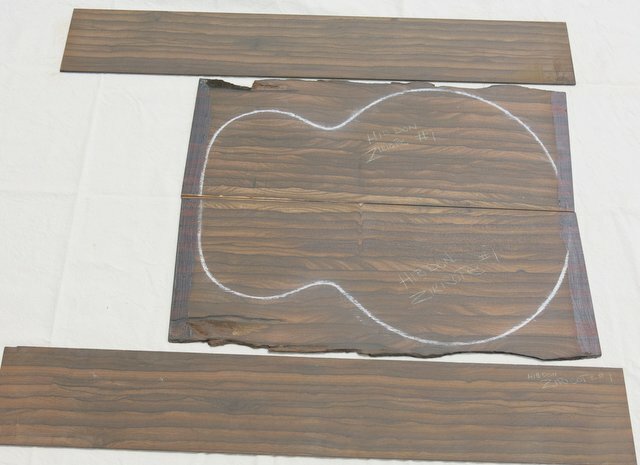 this will make a stunning guitar. Ziricote (Cordia dodecandra): SOLD Is found in Mexico and Central America. 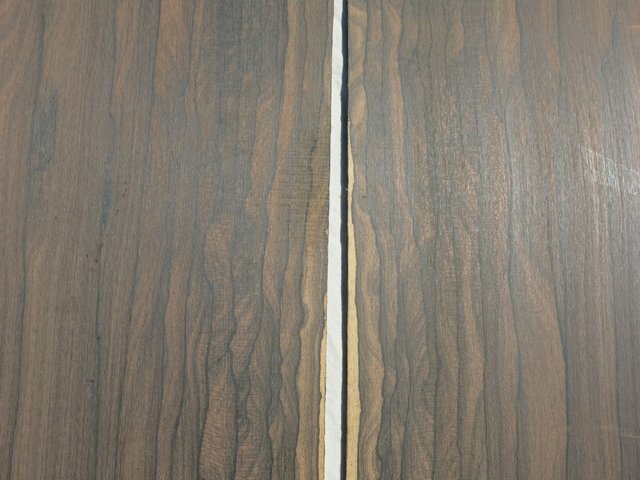 This is a very dense and unique-looking wood. Figure varies, the set below is termed "landscape" figure.